What an iconic image the first multi-racial elections in South Africa left us. Do you remember the pictures of the queues snaking around the fields under the blazing sun for hours? Those who had been denied the right to vote turned out in millions to exercise it for the first time. Now I’ve lived a rather more restrained version of that experience myself. There was a lot less sun. In fact, it was frankly cold, but this is an English May and you have to expect just about anything. 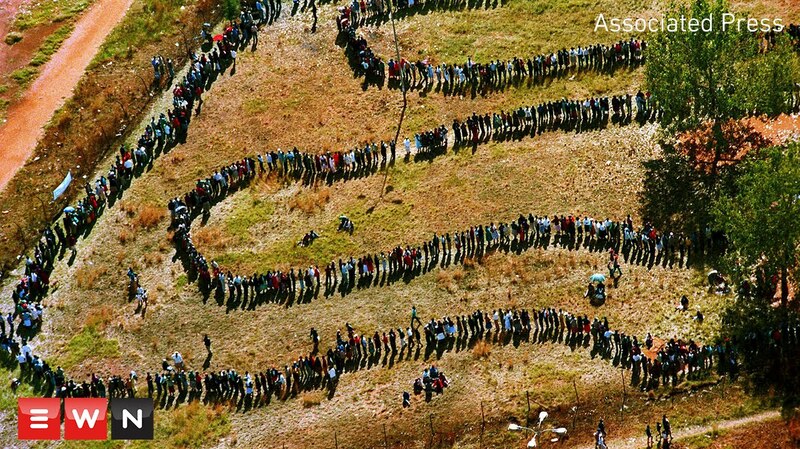 It also didn’t take anything like as long: we waited an hour and a half, not the eight hours many South Africans had to hang around for back in 1994. But still, the queue was impressively long and gave a powerful sense of the commitment many feel to their rights. The setting was a French school, oddly called the ‘Lycée Winston Churchill’, in Wembley, an outer suburb of North London, most famous as the home of the English national football stadium. The occasion: the second round of the French presidential election, pitting Emmanuel Macron against Marine le Pen. As I hold French citizenship as well as British (a bit of a bolthole, that, against Brexit), I was entitled to vote. I went with my wife (French from birth) and another French friend. We were there because we believe in the principle, often and probably incorrectly attributed to Edmund Burke, that “for evil to prevail, it is sufficient that good men do nothing”. Sitting on your hands is to do nothing. And a victory for the hard-right Le Pen would have given us a nasty object lesson in what it means to see evil prevail. This makes it a little surprising that many on the left were calling for their supporters to abstain. They didn’t particularly like Macron so they preferred not to vote at all. It’s quite a common view – many on the left refused to back Hillary Clinton in the US, for example, and many supporters of Jeremy Corbyn in Britain believe that Labour has to retain him as leader because he’s “right” (or rather “left, therefore right”), which makes him preferable to someone who might actually win. Sadly, we’ve seen the consequences of that kind of view. In the US, you get Trump. In Britain, you get May – not as dire as Trump, but she’s going to inflict a great deal of pain nonetheless. Well, we wanted to make sure that it wouldn’t happen in France. So we travelled three-quarters of an hour each way and queued for an hour and a half to make sure there would be at least three more Macron votes in the count. We did that with pride. It was good to be in that crowd. In the first round, French voters in Britain gave Le Pen just 2.9% as opposed to the 21.3% she notched up across all voters. Those who live in other countries are perhaps less keen on narrow nationalism, more open to others and to the free mixing of peoples. It felt good to be among them. But it also felt good to be backing someone who could win an election. As he now has. In Britain, I’m campaigning for my local MP who faces a tough re-election challenge. I very much hope he’ll get back in, as he’s likeable as well as being honest, hard-working and competent. And, though it’s going to be a hard fight, he has a chance. The same, sadly, can’t be said for our party leader. He doesn’t stand a chance in hell. That means it’s damage limitation all the way. Macron, France's youngest president, will do less good than many will have hoped. He’ll even do some harm. Overall, he will surely disappoint, as Tony Blair did. But at least he can do some good, again just like Blair. After all, you can do nothing at all if you lose, however good your intentions. Macron and Blair won and if their achievements belie our hopes, at least they got into a position to achieve something. In any case, the three of us in that Wembley queue will know one thing at any rate: that we can be counted among the good men (and women) who, by doing something and not sitting on our hands, prevented a far worse evil prevailing.